Thank you for your inquiry. The NDorphins will contact you shortly. BINM's NDorphins are a team based around promoting physical activity in community events. The team was started in 2009 by, now doctors, Mike Baker and Monique Hallee. 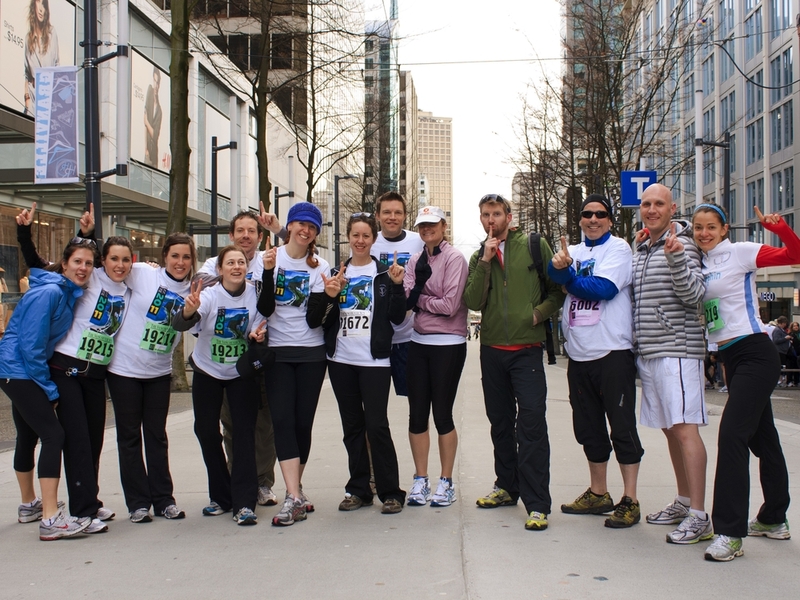 It initially included events like the Vancouver Marathon and the Vancouver Sun Run, completed in home-made jerseys! Over the years, the team has become more professional and expanded to include events further away, like the Victoria Marathon series. It has also included events that are non-exclusive to running, like triathalons and Tough Mudder. The sky is the limit as the members of the group help to determine which events are visited by the NDorphins, along with the amazing organization of its current captain and co-captains: Briana Takeshita (ND18A). Being part of the NDorphins is an excellent way to get involved, stay in shape, and build lifelong friendships - come join us today! 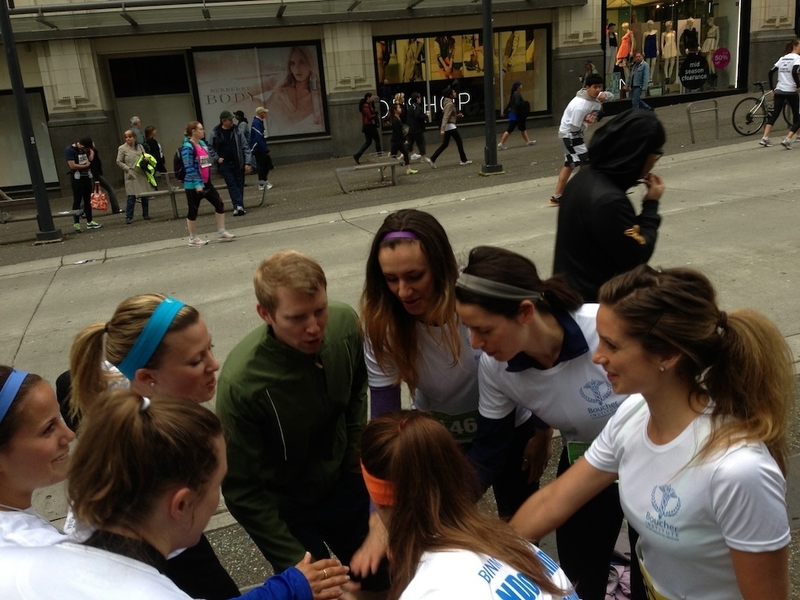 Vancouer Sun Run, 2013 - Go Team!